The faculty’s efforts in cancer research extend from laboratory studies of cancer biology through to improving delivery of evidence-based cancer care in clinical environments. 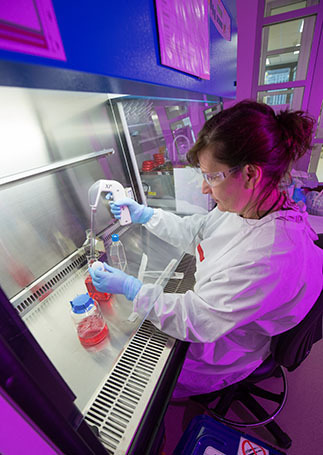 Our laboratory research is investigating the molecular and cellular biology of cancer across a range of cancer types. Work includes understanding the response of cancer to the latest targeted and immune-mediated treatments, defining the mechanisms of cancer cell resistance to therapy and predicting the response of patients to treatment. Our cancer research is also examining potential ‘biomarkers’ that could help oncologists accurately diagnose cancer sooner, decide which treatment will work best for each patient and accurately follow the patient’s response during and after treatment. 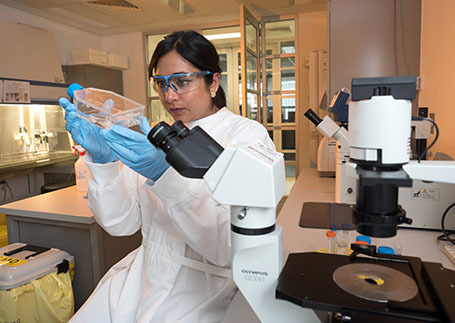 A substantial research activity occurs in clinical trials of cancer therapies through the MQ Health Clinical Trials Unit. These studies give patients of MQ Health access to the latest in cancer treatments, from both pharma-sponsored and investigator-initiated trials. Other clinically focussed research includes studies related to prevention and treatment of lymphoedema, the swelling of limbs that occurs in some patients after surgery to remove tumours and affected lymph nodes. 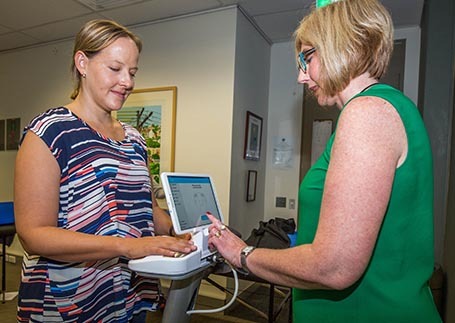 And our health systems research is testing ways to ensure that more cancer patients receive the best evidence-based care on their journey through the complex health system.